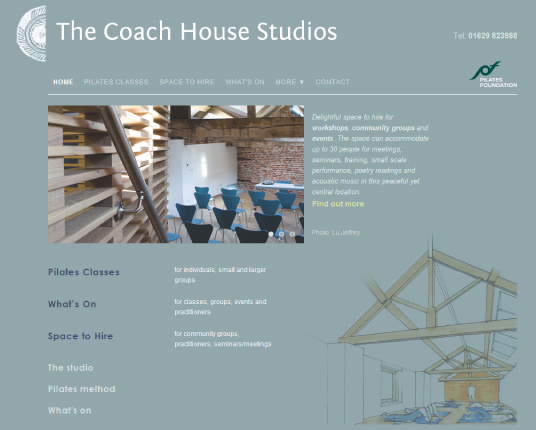 The Coach House is a great restoration project in the centre of Wirksworth. The space provides a home to many local groups and practitioners, from yogis to songwriters. The website captures the cool, calm and collected feel of the building and the people that run and use it.